In honor of the recent Holocaust Remembrance Day, I find it befitting to share Room 382’s shelf comprised of pieces in which those, who experienced the nightmare, share their stories. Each piece on this shelf is dedicated to bringing awareness, and hopefully shed light on how history truly can repeat itself, if we do not prevent it. 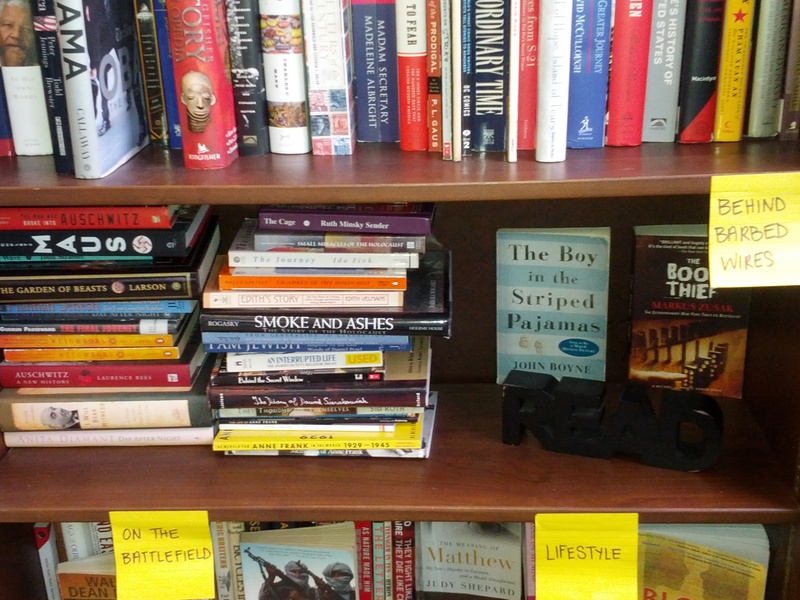 While this shelf hosts stories of tragedy, suffering, and insurmountable pain and loss; it serves a purpose. Aside from the devastating, these pieces share with us the true essence of humanity. Often, this is the first time students are diving into this 80-year-old genocide and trying to make sense of it. Many times we can’t; and other times we are able to connect over the beauty that surfaced. It’s all very complex. Elie Wiesel’s story (and bravery) is shared via his trilogy starting with Night then moving us through Dawn and eventually through the Day. See what he did here? Anne Frank shares her experience as a young woman budding into adolescence in a time where her beautiful spirit defeated the confines of her attic. Various types of literature have been compiled so students (and all readers) can experience Anne’s story in various ways: her published diary, actual footage restored via the Anne Frank House (a gift from a friend’s visit to Amsterdam), the play, and many others. vs. the Jews during the Holocaust. This two part series is detailed and brings to life the realities of the inner workings; the emotional turmoil yet amazing perseverance of those living through this moment in history. 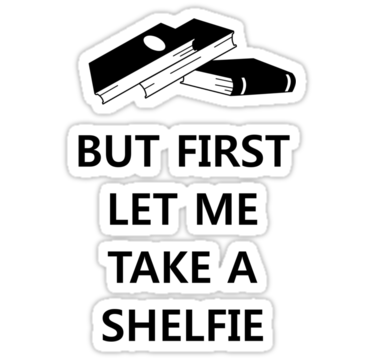 Students are typically surprised, fascinated, uncertain, saddened and sometimes hesitant when it comes to this shelf. Understandably. This shelf asks us to inquire and then sit with our findings. Yet, the conversations and rich discussions that float around this shelf are beautiful; truly beautiful and strengthen our understanding of what it truly means to be human. It is powerful. I’m now looking into creating a section on genocide; a suggestion from a history teacher friend of mine. When books in this theme are placed together, it creates a wonderful opportunity for dialogue and a chance for students to study such an important topic in our world’s history from a variety of perspectives. Powerful!